Rising sea levels are likely to virtually wipe out San Francisco Bay's remaining wetlands by the end of the century -- and new research suggests some could be gone much sooner than that. 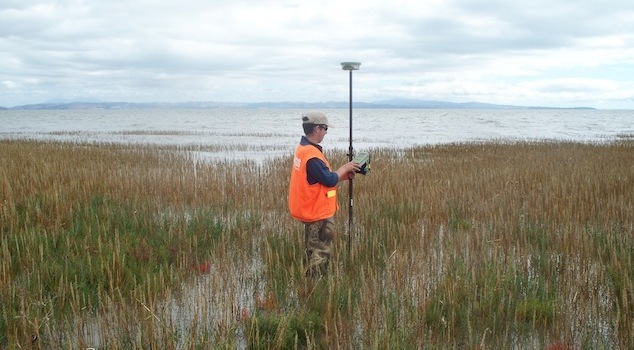 Using the most precise land measurements and plant data yet assembled, scientists at the US Geological Survey now expect that some of the Bay's major marshlands, like Marin County's Corte Madera Marsh, will be gone in 40 years. And by the end of this century, "Well, our results show that none of them are left," says ecologist Karen Thorne. Thorne is a research ecologist with the USGS Western Ecological Research Center in Sacramento. Her team did extensive ground and air surveys of 12 wetland areas around the Bay, including GPS readings with equipment that is accurate down to about an inch of elevation. They fed their data into a newly-developed model and concluded that 95% of the Bay's wetlands are likely to be awash in rising seas by 2100. The advance of rising seas, driven by global warming, will vary up and down the West Coast. Here in the Bay Area, scientists expect water levels to rise 3-to-4 feet by the end of the century. Thorne says two things surprised her most about the findings: first, how widely variable the advance will be at various places around the Bay, and second, how little awareness there was among local planners, of how the impacts were likely to play out. Thorne says that according to her model, wetlands toward the south end of San Francisco Bay could withstand the advancing seas to 2080 or beyond, whereas areas around San Pablo Bay (the north end), look to be drowned by 2060 or thereabout. Thorne says the results, which are based on a representative sampling of 12% of the Bay's wetlands, provide cues for urban planners. The marshes not only provide habitat for endangered species, but "they also provide flood protection for our cities," she says. "Most of the Bay is urban and those wetlands are your only protection between you and the water." The inundation of Corte Madera Marsh, for example, would have implications for major retail centers and Highway 101, which back up to it. Major airports, freeways and other infrastructure around the Bay area also at risk, though perhaps not as soon. 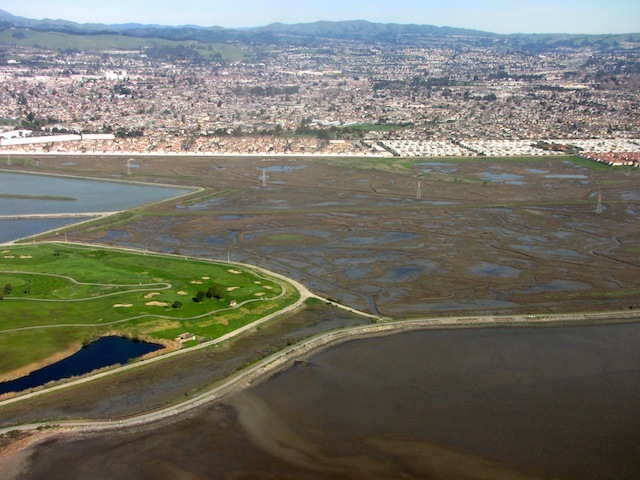 Thorne says the current extensive efforts to restore wetlands around the Bay will buy time for land and urban managers to prepare — but won't prevent the upward march of advancing seas. She suggests that while existing wetlands at the north end of the Bay are likely to go sooner, they may provide the best opportunity to save some by allowing them to move. "In the [distant] past as sea level rose, our wetlands would move upslope, to higher elevations, and we would keep that buffer area," Thorne explained. "But [today], most of the Bay Area has an urban interface and there's nowhere for them to go." She says the marshes at the extreme north and south ends of the Bay, where there remains some open space, are "key areas for conservation and restoration. Everything else is hemmed in."